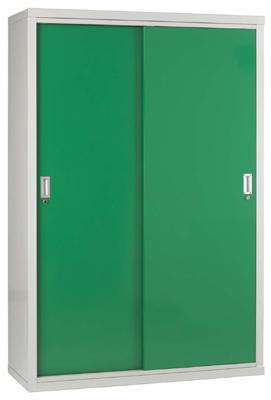 Wide heavy duty sliding door cabinet for confined spaces when space is at a premium. 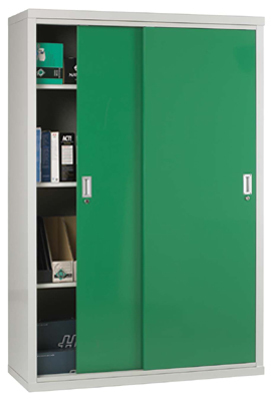 An ideal storage cabinet cupboard for documents, retail stock or workshop equipment with fully adjustable shelves.All welded construction makes this ideal sliding door storage cabinet for important documents or high value accessories in a retail stockroom. 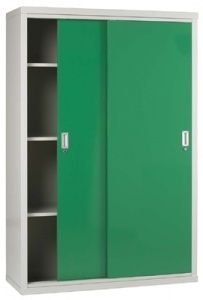 Note: The unit comes with 3 shelves included. extra shelves can be purchased separately up to a maximum of 10 shelves per unit.